Limerick Poems are basically short rhyming poems. They're a great hit with kids of all ages because they're funny and usually pretty silly too! I'm a primary school teacher and we generally do a unit on poems in Year 5 or 6 using limericks because they really appeal to this age group. Sharing poetry with children is important for a number of reasons and we find that limericks are a great place to start because they're short and funny. Where did limerick poems come from? Unlike many modern limericks, early limericks are almost all truly nonsensical. They contain no point or message, don't have punch lines and of course they're free of the rude, unpleasant humour that we’re used to in so many limericks today. Which vexed the fat man of Bombay. In 1846, Edward Lear, an English author and artist, published a book of limericks called A Book of Nonsense. The book was so popular that two further editions were published. It's still in print today under the title Complete Nonsense. 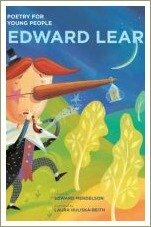 Lear didn't invent limericks but he's probably responsible for making them as popular as they are today. 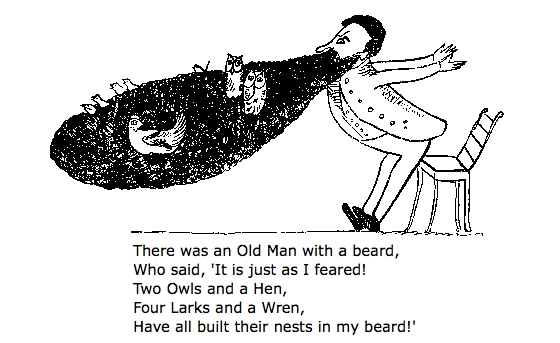 If you'd like to read a selection of Edward Lear's funny limericks for children, click here. Why are they called limericks? There's still quite a lot of debate around the question of why limericks are called limericks. The most common idea is that the name comes from the City or County of Limerick in Ireland but why would that be? Limericks weren't an Irish invention, as far as anyone knows. And the rhymes themselves have been around for longer than the name. Edward Lear popularised them but he didn't call them limericks. It seems that the name may come from an old parlour game involving nonsense verses that dates back at least to the 1880s. The game traditionally included a verse sung to the tune of a song called "Will (or won't) you come (up) to Limerick?" so it may be that the name came to be associated with that rhyme and then more generally with similar rhymes. Limericks are written in a stanza consisting of five lines, with the first, second and fifth lines rhyming with one another. and having three feet of three syllables each; and the shorter. The first line usually introduces a person and a place or feature, as in "there was a young man with a beard". Often there is a twist revealed in the final line or in the way the rhymes are emphasised, or both. Many limericks also contain internal rhyme, alliteration or assonance, or some element of word play.